Recently I bought some used AVC Advantage voting machines, made by Sequoia Voting Systems in 1997. I've been studying voting technology and policy for some time, and it will be interesting to perform experiments on these machines. 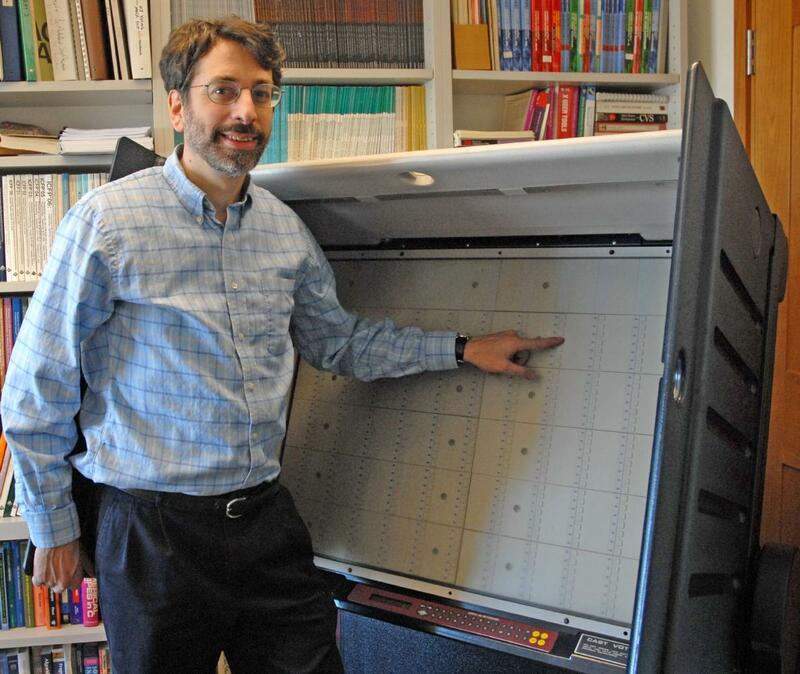 In early January 2007, the county of Buncombe in North Carolina advertised for sale on the Internet auction site govdeals.com several Sequoia AVC Advantage voting machines. There were 136 machines sold, in lots of 10 machines, 4 machines, and 5 machines, for a total of 18 lots. The auctions closed on January 16 and January 26, depending on the lots. The auction site govdeals.com is, apparently, meant for federal, state, and local governments to sell surplus equipment. Any person can qualify to bid on and purchase equipment through this site. I purchased one lot of 5 machines, for a price of $82 for the lot. Registering to bid at govdeals.com is just like registering to bid on e-bay--no questions asked except name, address, e-mail, and telephone number. The government had no information about me or my motives in obtaining the voting machines at any time before or after the auction and delivery of the voting machines to me. I paid for the machines by cashier's check. I had these machines shipped to me in Princeton by commercial carrier, where they arrived on February 2, 2007. On February 3, 2007 I examined the machines. The machines arrived in operating order. The machines, originally sold to Buncombe County in 1997 for $5200 each, appear to be almost identical to machines used in Mercer County, New Jersey, where I vote. The only difference that I discerned is that instead of a green "x" to indicate a vote, there is a green arrow. This difference is very minor and does not, for example, mean that the internal software is different. To get to the motherboard of the machine, I just opened the back door with the key (that came with the machine) and unscrewed 10 screws that hold in place a sheet-metal panel. 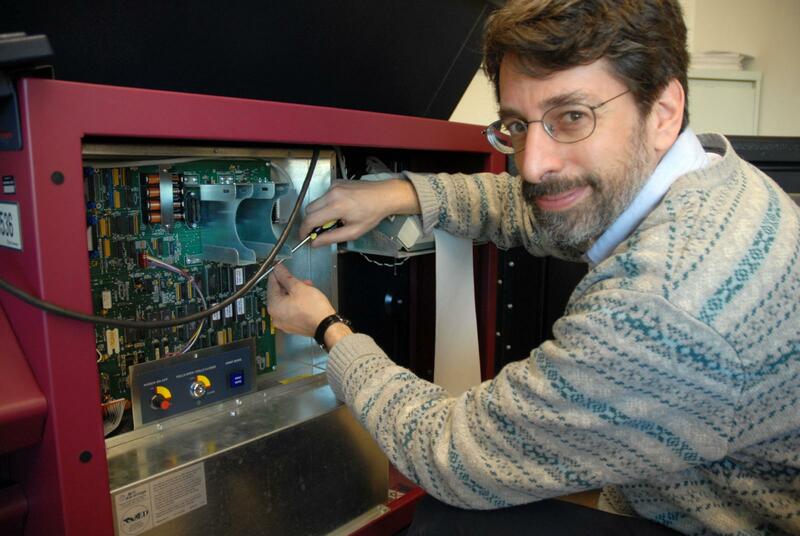 Although I used a key to open the lock, the lock itself is a fairly simple one: I watched a Princeton University student pick the lock of my machine in about 7 seconds. The vote counting instructions in each voting machine are written into integrated circuit chips during the manufacturing process. These chips are incorporated into each machine's circuit boards. Access to the machine should be limited by administrative procedures and is also limited by the physical design of the machines. Design features include door locks and a numbered seal on the CPU cover. Here is the affadavit that I wrote, describing my purchase of these machines, for the Superior Court of New Jersey in the New Jersey Voting Machines Lawsuit. Alex Halderman and Ariel Feldman, graduate students in the Department of Computer Science, have begun work on the analysis of the firmware in the AVC Advantage's ROM chips. Here's a screenshot they gave me of some of the formatted-output ("printf") program, that's used for (among other things) printing vote totals on the internal printer.